I’ve heard that if three people at a party tell you to sit down, then you’re probably drunk. Now if ten people in a week tell you to not get killed, it is time to take out a big life insurance policy and carry a concealed handgun? The reason I am asking is that there have been quite a few folks since I started my Legal Defense fundraiser who have told me to “be careful” and to “stay alive”. 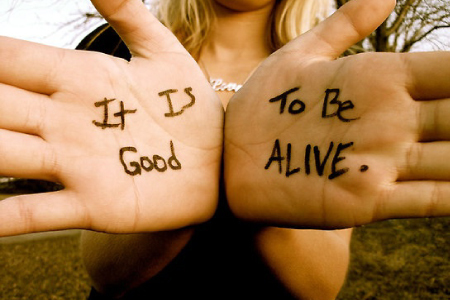 Just today, I received this kind message to stay alive. In reviewing my original Legal Defense fundraiser video, I do look stressed and in the follow-up video I did mention that your support gives me the “strength to continue” which does sound a bit ominous. Sorry about that! I meant your support gives me the strength to continue [fighting the FTC], not with life! We have raised almost $10,000 dollars already and the comments and support have been such an inspiration. So, I just wanted to state unequivocally and publicly that my health is excellent and that I have no plans or any desire to harm myself. It is a sad state of affairs that when I asked my friend and founder of the American Holistic Medicine Association, Dr. Norm Shealy, about potential threats, he said he also informed his loved ones that he isn’t suicidal just in case he died under suspicious circumstances. 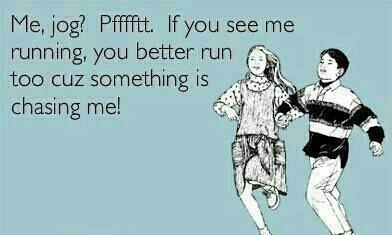 So if I turn up dead on some jogging trail just know that I don’t jog. Nuff said. Why would friends and supporters even suggest that my life could be in danger? 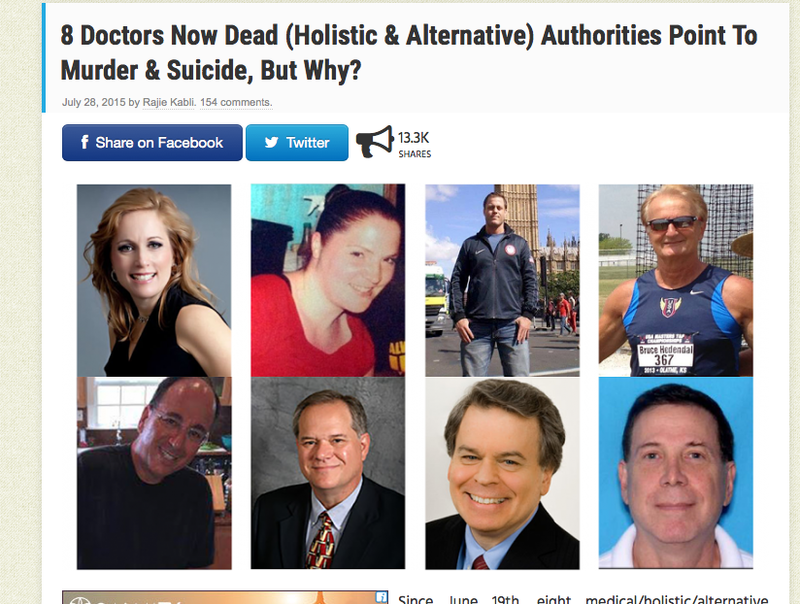 Well, apparently there are some who are trying to make a connection between the deaths of some holistic docs in Florida and foul play. I am agnostic here and will post this link for your information only. Sadly, we reside in a world where you can order the killing of anyone and people will believe whatever they want to about it. So for the last time, this was a public declaration that I, Edward Park, a physician who is taking telomerase activators and adaptogens to live longer, is NOT suicidal, and am in a state of excellent mental and physical health. Namaste and may all beings be free and at peace. sad that these deaths do look very suspicious .its so obvious from the advice for healthy diet etc weve been given by our big brother that quite the opposite effect is desired. please dont fight them. cant you quietly spread your message. Lef.org does this all the time , but they have a huge following and big bucks.what exactly dont they want you to say? It’s so depressing knowing the first amendment has no meaning anymore. I tried accessing your fundraiser via bookmark today just to see how its going and got “403 Forbidden You are not authorized to view this page.” I hope all is as well as it can be. Figured I try commenting to see if this is working too. Keep fighting the good fight Doc! We believe in you!